Discover simple tips to maintain a healthy heart – from the importance of exercise and sleep to what healthy portion sizes look like. Once considered a “man’s disease,” we now know that cardiovascular disease affects people of all ages and races, and, in fact, is the leading cause of death for both men and women. About 630,000 people die from heart disease in the United States each year — one in every four deaths, according to the Centers for Disease Control and Prevention. And each year, cardiovascular disease is responsible for 35 percent of deaths among American women over the age of 20, according the American College of Cardiology. The good news? 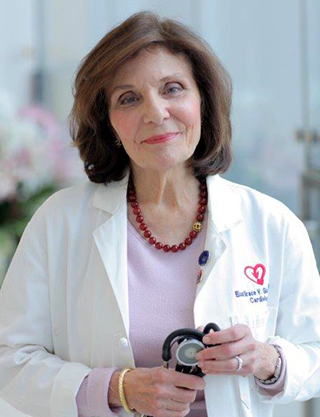 It’s easy to make a difference in your heart health, according to cardiologist Dr. Elsa-Grace Giardina, director of the Center for Women’s Health in the Division of Cardiology at NewYork-Presbyterian/Columbia University Irving Medical Center. And maintaining a healthy heart doesn’t need to feel daunting. “Good health can be really straightforward and simple,” says Dr. Giardina, who is professor of medicine at Columbia University Vagelos College of Physicians and Surgeons. Here, Dr. Giardina shares eight things she wishes people knew about their heart health — and the simple steps they can take to stay heart-healthy. Nutrition plays a critical role in your heart health: A tip for a healthy diet is to take a plate and divide it into three sections. In each section, make sure there is a different color but no white — white would be a potato, bread, rice, or pasta. Instead, replace white foods with colorful peppers, beets, green vegetables, salads, or a piece of chicken or fish. Even whole-wheat carbs should be limited. Keep the focus on color. Portions matter: Many do not understand what an appropriate portion size is. I learned the appropriate portion of cheese is the size of a pair of dice, which was eye-opening. A half a cup to a cup of vegetables is a good portion in a meal — picture the size of a baseball for a half a cup of cooked carrots. The American Heart Association recommends eating eight or more fruit and vegetable servings every day (for an average adult, that’s about 4½ cups of fruit and vegetables), so it’s hard to overdo it. One protein serving is about the size of a deck of cards, which is a good portion for a meal. 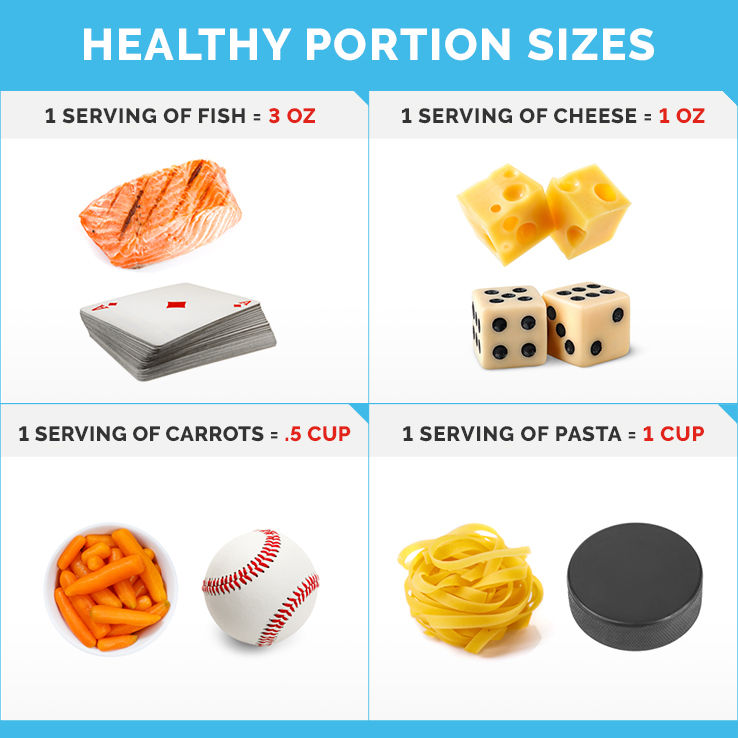 Try to limit carbohydrate intake — for example, one pasta serving is about the size of a hockey puck. The Mediterranean diet, with its focus on fresh vegetables, portions of fish and chicken, and olive oil, is a great diet for your heart. I also recommend the DASH diet — Dietary Approaches to Stop Hypertension — which was developed to minimize hypertension. It is similar to the Mediterranean diet in that protein comes from fish and chicken, and it calls for a minimal amount of starch and carbohydrates but many vegetables. Exercising is important and easier than you think: Many people are aware that they need to be physically active but often overextend themselves at the gym, putting themselves at risk for injuries. All you really have to do is walk for about 30 minutes a day. 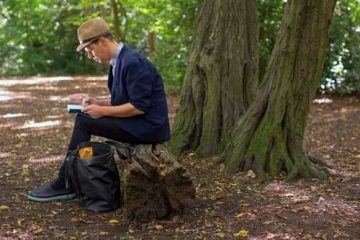 The American Heart Association’s guideline is 150 minutes of moderate physical activity per week, spread throughout the week: That’s basically walking back and forth to the subway station on your way to work rather than taking the bus or getting a ride, or it could even be getting off a stop early. Heart disease is the leading cause of death: In a study at NewYork-Presbyterian and Columbia, we evaluated how people perceive their size, which can relate, to a certain extent, to the way they eat and choices they make. We also asked the questions, “What is the leading cause of death among women?” and “What are the signs and symptoms of a heart attack?” Many underestimated their body size and were not aware that heart disease is the leading cause of death in the United States. Many also thought the leading cause of death was cancer. And since obesity is a growing national problem, one might look at friends and neighbors, who may also be overweight, and not see their own weight as abnormal. By underestimating body size, people place themselves at risk for cardiovascular events or stroke. The importance of sleep: There is evidence that inadequate sleep — that is, not just too few hours of sleep, but also poor sleep — is associated with an increased risk of adverse cardiovascular risk factors such as obesity, high blood pressure, Type 2 diabetes and overall cardiovascular disease. In 2016, the American Heart Association released a statement on the importance of sleep to heart and brain health. My colleagues and I are currently studying this further. Don’t eat – dine instead: Practice mindful eating by slowing down and eliminating distractions. Rather than “eating” on the go or while watching television, take the time to “dine.” When you dine, you eat without the TV or laptop on and without talking on your smartphone. Slowing down gives you a chance to enjoy the meal and know when you have had enough to eat. Take away the cues for less-healthful eating, like the wafers on the table, the cookie jar, or the candy bowl. Work with where you are: Students and young working people may feel they are at a disadvantage for preparing healthful meals while living in a dormitory or having small kitchens and/or limited time and funds. It is understandable why they might reach for prepared foods or why those with small budgets or limited access to fresh food and vegetables choose fast food over healthful meals. I recommend prepping food ahead and finding simple ways to make good meals. You can make soup with a pot of water, chicken or beef, and a variety of vegetables, providing meals for several days. Take advantage of a microwave or toaster oven — you can prepare delicious poached fish in a microwave. For example, take a piece of salmon, put 4 to 5 ounces of water in the plate, cover it and set the timer for eight minutes — and you have a healthy fish dinner. What Does It Mean to Be Transgender?